Whether by curious Boy Scouts and "backyard archaeologists" or competitive collectors and knowledge-hungry anthropologists, the excavation of native remains is a time-honored practice fraught with injustice and simmering resentments. 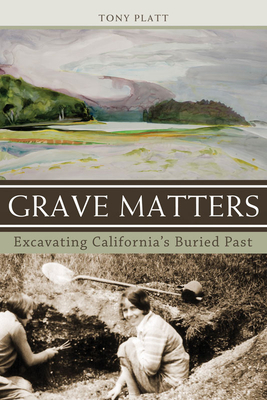 Grave Matters is the history of the treatment of native remains in California and the story of the complicated relationship between researcher and researched. Tony Platt begins his journey with his son's funeral at Big Lagoon, a seaside village in pastoral Humboldt County in Northern California, once O-py weg, a bustling center for the Yurok and the site of a plundered native cemetery. Platt travels the globe in search of the answer to the question, How do we reconcile a place of extraordinary beauty with its horrific past? Grave Matters centers around the Yurok people and the eventual movement to repatriate remains and reclaim ancient rights, but it is also a universal story of coming to terms with the painful legacy of a sorrowful past.